Don’t get me wrong. The Surface Pro 3 is a wonderful computer. The screen is just gorgeous. It’s crazy thin and the stylus is cool. However, on the practical side, trying to handle all input using the stylus and touchscreen is an exercise in futility. Unless your main thing is drawing with the stylus, you need a keyboard and to maintain portability, the cover keyboard is the only choice. Unfortunately, that keyboard is barely a keyboard and using it is like typing on a piece of cardboard. It’s also kinda ugly and looks like a poorly-designed 3rd-party add-on. 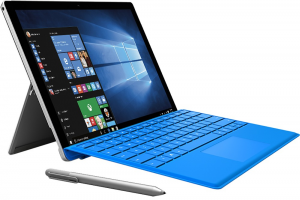 With the keyboard attached, the Surface Pro becomes relegated to use on a desk or table. Forget using it on your lap. It’s such a huge piece of glass, I also felt obligated to keep a protective case on it which only served to bulk the device up more. 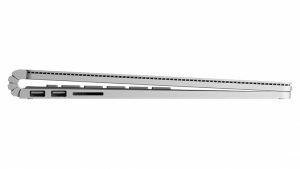 Now it would seem that the new Surface Book might be the answer to my problem. It is basically a Surface Pro with a detachable laptop keyboard. However, I hate the way the top doesn’t close flush and leaves a giant gap. That just makes the thing significantly thicker than with no benefit. You would think they could have made the hinge smaller. I really wanted to love the Surface Pro (and Surface Book for that matter), but eventually came to the conclusion a laptop is functionally superior. I knew I would be giving up the stylus, but I never really used it anyway. 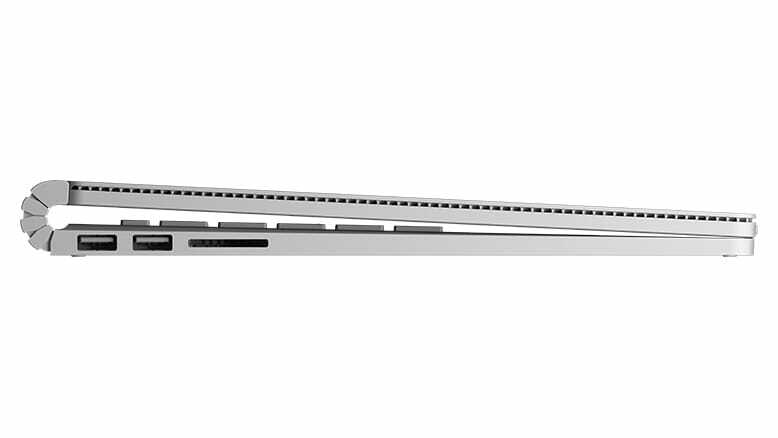 All that being said, I’m really glad I took this detour with the Surface Pro as the ultrabooks are now shipping with USB-C/Thunderbolt 3 ports. Finally a small no-orientation port that does it all (HDMI, VGA, Ethernet, Mini DisplayPort, USB 3.0, power, etc.). It will be nice when it becomes standard on display monitors and TVs. 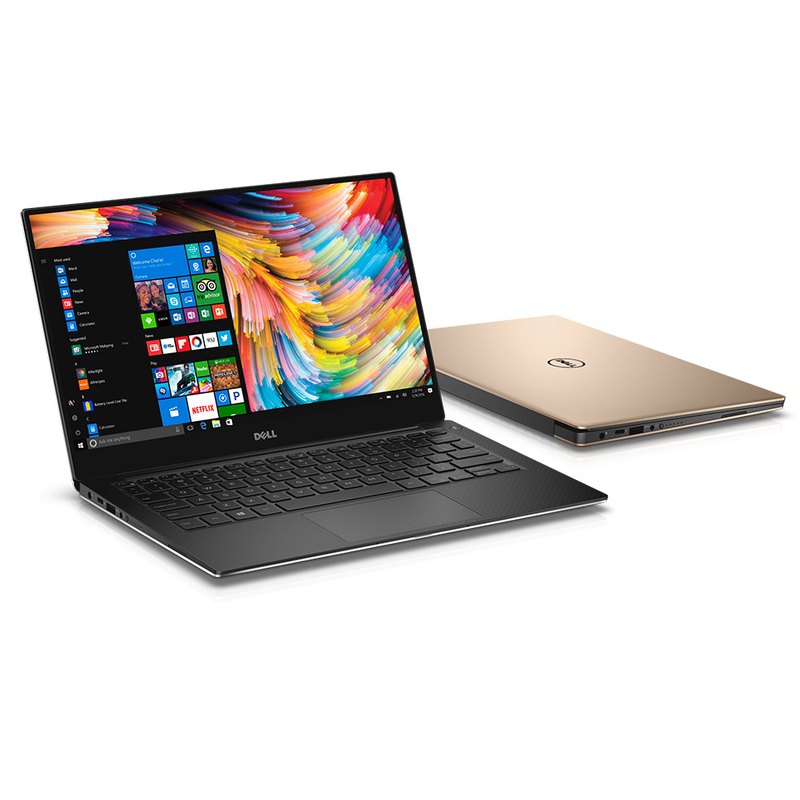 The Dell XPS 13 is everything they say it is. 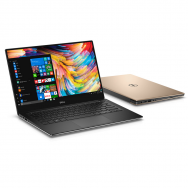 By far, it’s the best ultrabook out there. The one thing I don’t like about ultrabooks, however, is that little is upgradable. As such, I popped for the top-end configuration (i7, 16GB, 512GB, QHD). I quickly outgrew the 4GB of RAM in my Surface Pro 3 and I didn’t want to paint myself into that corner again. I sort of wish it had a magnetic power connector, but I suppose it’s small standard barrel friction type connector is ok. Besides, it does support USB-C charging so who knows, the power connector may disappear at some point. Won’t it be great when all devices can use the same power adapter!